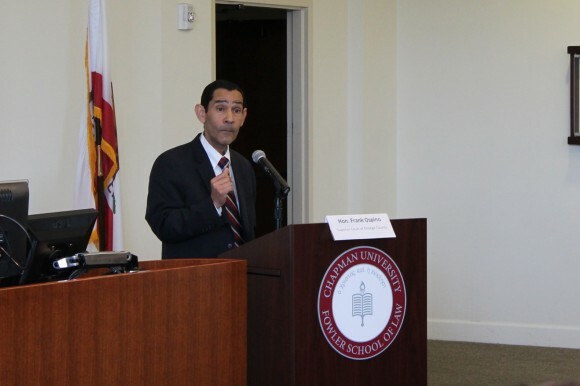 Chapman University Dale E. Fowler School of Law hosted its annual Diversity Day on Saturday, February 20, 2016. Organized by the Office of Admission in conjunction with the Minority Law Students Association, the event was an inspiring and thought-provoking opportunity to shed light on diversity in the legal profession, illuminating the path to success for hundreds of Orange County’s future leaders. Diversity Day, co-sponsored by the Law School Admission Council’s DiscoverLaw.org, brought Latina and Latino judges and practitioners to speak at a panel and inspire more than 200 middle and high school students on the importance of higher education and community service. Panelists discussed legal practice and community involvement, and spoke candidly about their experiences growing up.